South of Goose Pasture Tarn, a little higher up the Blue River is the subdivision called the 97, made up of about 40 lots that are each about one-half acre. Just south of these are the 9 lots called 97 South, which are each an acre in size. Just a couple miles from downtown Breckenridge, everything in the 97 will be convenient to town, but will have a more rural character. All the homes and lots are on the west side of Highway 9, as is the Blue River. The river meanders through the neighborhood and its open meadows let sunlight into this warm single-family neighborhood. Surrounding it are the dense spruce and pine forests on the flanks of the Tenmile Range. Many locals live year-round in the 97 because it has everything important to mountain dwellers: sunlight, privacy and an easy to travel road. 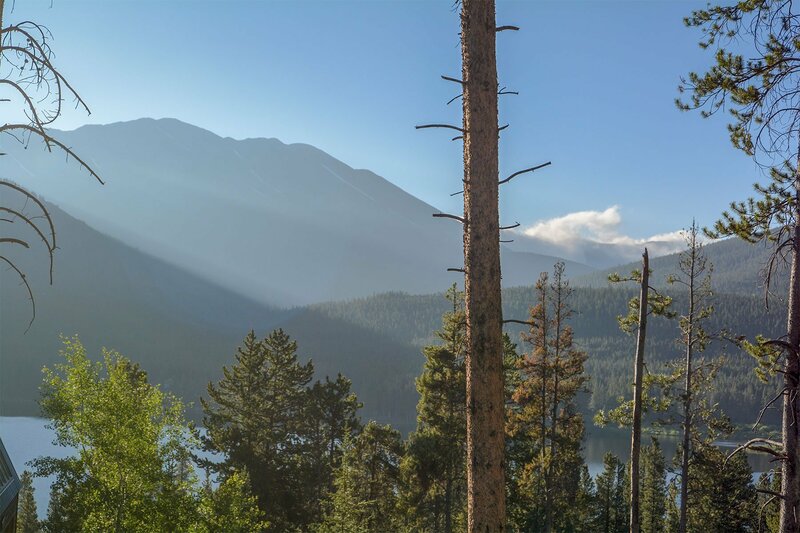 With winter often staying around through May, homeowners in the 97 will get their fix of Colorado sunshine even if snow covers the nearby forest. Never a need to go into town to find a hiking, biking or ski trail, there are plenty of trailheads on the south side of town where you'll find the 97. Summer in the 97 is perfect, with the Blue River running through the neighborhood and temperatures rarely too warm. Perfect for a vacation home. Most people consider the old neighborhood of Blue River Estates to be on the east side of Highway 9, but this area may have been part of, or at least considered when the original summer home neighborhood was developed. Read more about the historic Blue River Estates. The popular Mohawk Lakes trail is accessible via Spruce Creek Road, just north of the 97, and to the south, is McCullough Gulch and the trails the climb Quandary Peak and traverse the ridges to Peak 10.